Megan was a graduate of Clyde High School and had attended Cisco Junior College and Angelo State University taking courses in anticipation of a career in nursing. She had started college a year early and was scheduled to walk the stage for graduation with her class in June of 2010. 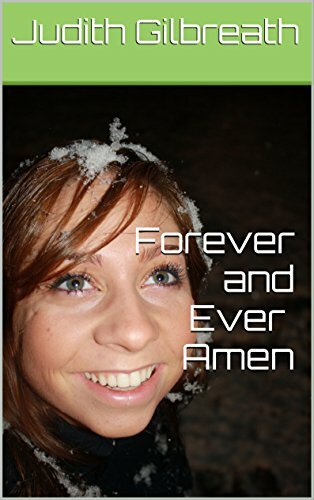 Megan was a bright and beautiful young lady with a promising future ahead of her. She loved life and had many interests including singing, golf, disc golf and photography. She was a wonderful singer and had been active in the school choir for several years. She was a trainer for the Clyde High School football team and a manager for the basketball team during her high school career. She was a member of the golf team her sophomore and junior years. She had been a Junior Volunteer and worked as a transport aide at Hendrick Medical Center prior to going to San Angelo. She was involved in numerous other activities and was so full of life and joy. She always had a smile for everyone and people always smiled back. THANK YOU TO THE 2016 SCHOLARSHIP SPONSORS! Also, thank you to Schwanns and all those who bought from the campaign to benefit the scholarship. We will be giving out at least 3 scholarships this year with room to grow for next year. You are all so beautiful! If you'd like to read the ramblings of a grieving parent or if you are a grieving parent. This is a little of my experience. An autobiographical journal, leading you through the grief and pain of losing a child, not once, but twice. The survival of family after a child dies and fight to make through each day. Helpful discussion of what works and what doesn't as you face the hurdles every grieving parent, sibling or grandparent faces. From the hospital to the funeral and beyond. Only a parent of a child who has died can truly relate to the trauma and issues it causes for families. Not only parents but sisters, brothers and Grandparents as well. Only parents who have made it through this particular tragedy can advise and understand the pain it causes. Congratulations Callie Monsey, recipient of this year's Megan Gilbreath Memorial Scholarship. Each winner receives a $1,000 scholarship. Megan would be so proud of all of our scholarship winners and proud to be able to help these future Nurses and Medical professionals. Help support next years scholarship by donating here. Megan Gilbreath believed nurses possess the qualities of compassion and healing and aspired to one day help to heal those who are sick, not just physically, but spiritually. She believed in the power of others to make changes in the lives of those around them. Multiple scholarships will awarded to a graduating senior or current nursing or healthcare students in Texas. Write a one page letter expressing your desire to be a nurse or other health professional, & how being a nurse exemplifies the qualities of compassion and healing. This site is dedicated to sharing the life and memory of Megan Gilbreath. Megan was born December 21, 1991, and grew up in Clyde, TX. She was killed in an automobile accident near Tuscola on May 3, 2010. Megan was an amazing young woman with an incredible future ahead of her. If you'd like to enjoy a story of how Megan changed the lives of those around her, share your own, or just leave her a message, you can visit her Facebook page here. Megan continued to help others, even in her death, through being an organ donor. Being an organ donor was very important to Megan, and she was able to save many lives through her gift. If you'd like to find out ways that you can become an organ donor visit Donate Life America. Make a contribution to the Megan Gilbreath Memorial Scholarship , and support an aspiring medical professional.